Ft. Laud, FL. -- The ABOTA (American Board of Trial Advocates) Ft. Lauderdale Chapter awarded the Trial Lawyer of the Year Award to Diana Santa Maria at its Annual Judges Night on Friday, Jan. 17th 2013 at the Renaissance Ft. Lauderdale Plantation Hotel. 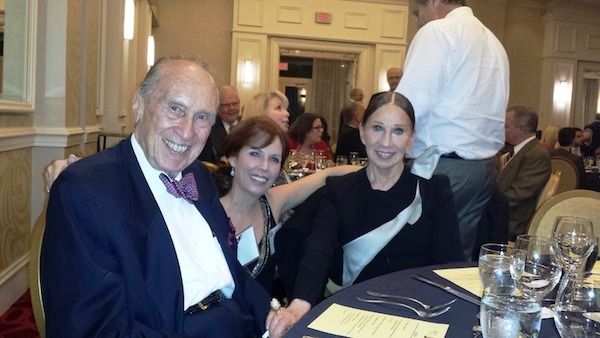 The award was presented by Sheldon J. Schlesinger, who attended the dinner with his wife, Bobbi. Ms. Santa Maria began her legal practice with Sheldon Schlesinger, who she credits for her start in Plaintiff’s Personal Injury and Medical Malpractice Trial law in 1985, and for instilling in her a passion for the profession. Ms. Santa Maria, who currently serves on the Florida Bar’s Board of Governors for the 17th Circuit, has been practicing in the field of Plaintiff’s Personal Injury, Wrongful Death and Medical Malpractice since 1985 and opened her own practice in 1991. She is listed in Best Lawyers in America, Super Lawyers of Florida and is an AV rated Martindale Hubble Pre-Eminent Attorney. Diana Santa Maria with Sheldon J. Schlesinger and wife, Bobbi. 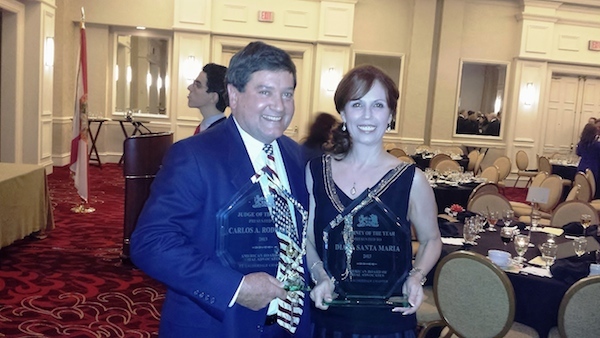 Judge Carlos Rodriguez (2013 Judge of the Year) with Diana Santa Maria, (2013 Trial Lawyer of the Year).